There’s something about Harry, an eagerness to do things differently. That’s why he prefers exploring east of Alice Springs rather than head west. Most 4WD tours in Australia’s Red Centre head into the West MacDonnell Ranges to locations such as Simpsons Gap and Standley Chasm, Ellery Creek Big Hole, Hermannsburg and the tropical oasis of Palm Valley. But Harry Osborn would much rather take his guests into the East Macdonnell Ranges and not simply because fewer tourists go there but also because, out east lies Harry’s ‘hidden jewel’ – the remote and aptly-named Ruby Gap. 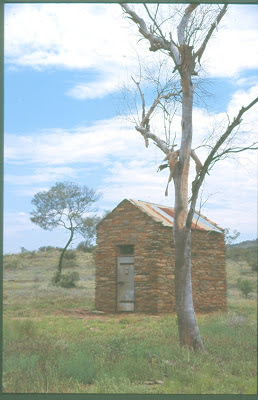 It’s located on Love’s Creek Station which also has one of the largest stands of river red gums in Central Australia. 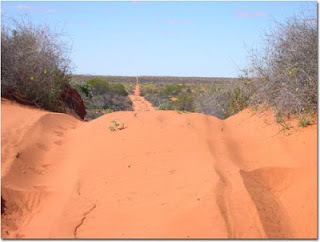 Ruby Gap Nature Park lies 150 kilometres east of the Alice and it takes several hours of careful driving over rugged terrain to get there, the last bit of the journey along the dried-up bed of the Hale River. A particularly favourite spot is Glen Annie Gorge, a narrow winding cleft between towering walls of red rock where the sandy river bed snakes its way through these cliffs to form a large natural swimming hole. Harry says he rarely sees other visitors out here. 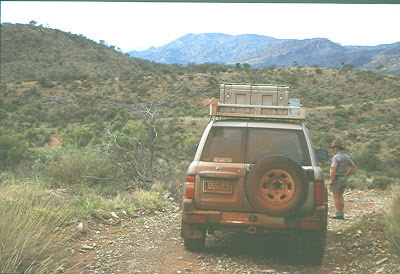 Camping is allowed but much of the terrain is too rugged for most vehicles to negotiate. On our return journey we make a diversion to Arltunga, the first town in Central Australia. In 1886 explorer David Lindsay reported rubies in the Hale River. But they turned out to be garnets. A rich gold reef discovered at nearby White Range did, however, prompt a short lived gold-rush. At this ghost town I see old mining works and the remains of a post office, blacksmith shop and the 1912 police station and jail with it’s rusted iron door hanging off its hinges. We also pause beside the grave of stockman George King, buried 9 September, 1916, after falling from his horse. His remote resting place seems a fitting emblem of the tough and solitary life endured by pioneers in such unforgiving country. 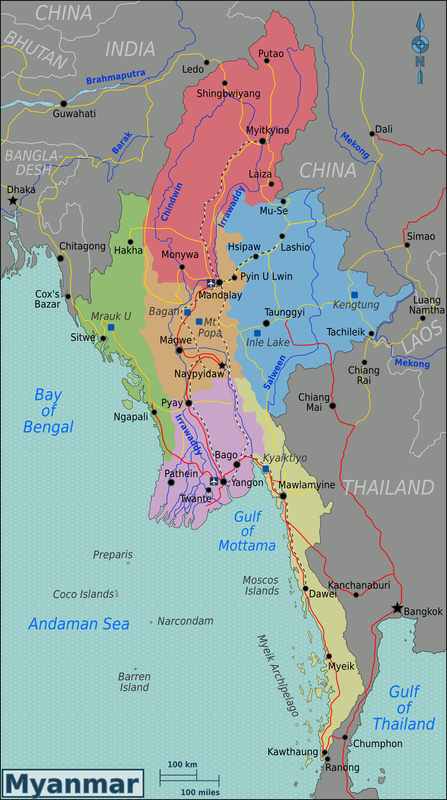 Backpacking through Asia 30 years ago I had the chance to hop across the border from Thailand and spend a week in Burma. In those days a 7-day tourist visa was all anyone got. With such limited time it really meant having a razor-sharp focus on what I hoped to see and do. So something had to go. I made my choice: Rangoon to Mandalay, then west along the Irrawaddy (Ayeyarwaddy) river to Pagan, which meant I missed seeing Lake Inle. I don’t regret my choice one bit as my visit to Pagan was brilliant. Now the country has opened up to the world I’ve inked Lake Inle on my ‘back-to-Burma’ itinerary. Rangoon in the 1980s was pretty similar to what it is today, although the musty and faded Strand Hotel has since been overhauled and is now rather swish. In 1983 it was known for its dilapidated, rain-stained architecture and post-World War 2 colonial flavour. Taking tea or sipping a gin and tonic on the verandah was simply one of those things a traveller had to do. I couldn’t afford to stay there in 1983 and I certainly can’t now. Some things don’t change! Rangoon’s main attraction 30 years ago was – and still is – the magnificent, golden Schwedagon Pagoda in the centre of town. I think it’s one of South East Asia’s most wondrous structures and I spent quite a portion of my precious time soaking up the Schwedagon’s sights and sounds. This magnificent temple is as much a community centre as place of worship. Another priceless memory from those days is my overnight rail journey from Rangoon to Mandalay. The train was so crowded I ended up crawling under a wooden seat to sleep on the floor and was awoken at each station by the shouts of food vendors. The mellifluous, subliminal sounds of the Burmese language – a bubbling murmur or so it seemed in my semi-comatose state – remain imprinted in my memory. Sunset seen from the top of the Schwesandaw pagoda in Bagan is yet another of my golden “Burma moments”. All thos years ago there were just seven foreign travellers up there marvelling at the amber sheen cast across the surrounding plain with its extensive array of temples and stupas with the landscape framed by the silvery glimmer of the river. 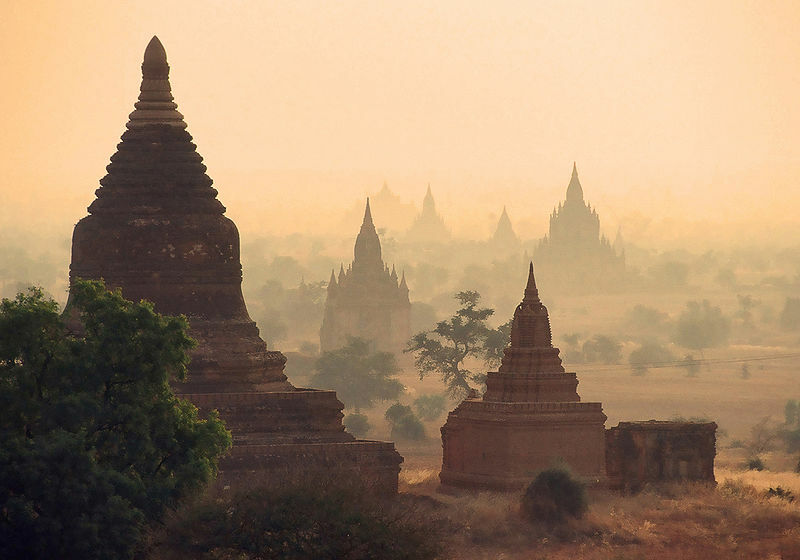 It most certainly was “mystical Myanmar” back then and I’m sure that it still is. I can’t wait to return.